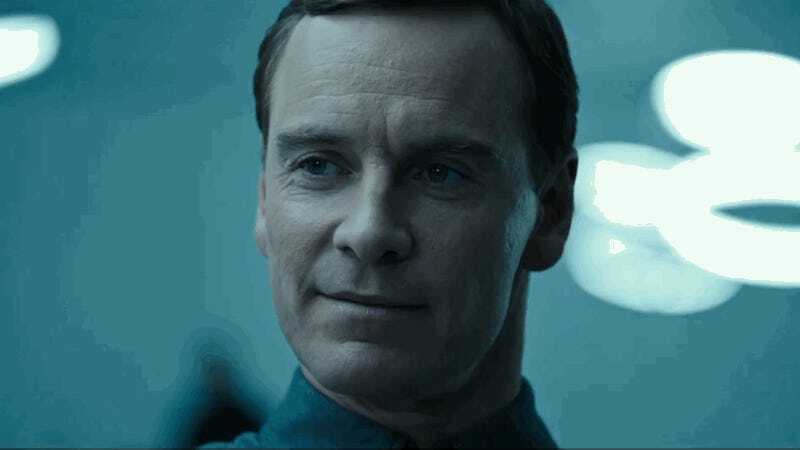 One of the things we know about Alien: Covenant is that Michael Fassbender is pulling double-duty in it. He’ll be playing David, the android from the last film, and Walter, another android from the same assembly line... or so we thought. The latest, utterly bizarre Alien: Covenant promo just ruined a bit of that theory. It’s interesting that Weyland-Yutani is somehow using the same body and face model for their androids, but that this isn’t the David 10 series or whatever. I mean, for the sake of the movie, it’s to distinguish them. But it actually would be more logical for the androids to all have the same base unit name. However, part of David’s deal in Prometheus was that he had a special, separate set of instructions from Sir Peter that warranted having his son’s name. I wonder what Walter’s name means (if anything). The end of the video—which includes the making of Walter in a way that is both very-Westworld and not as stylish as that show does it—directs you to meetwalter.com, where you can learn all about Walter’s features. There are things like “let him observe, analyze, and predict so you can avoid trouble before it starts” and him having “no emotional needs, but he’s been engineered to perceive a full spectrum of feelings.” Most unsettlingly, given the old David’s special programming that his crew didn’t know about, is the information that Walter is run on “automatic updates” and is a “hassle-free” companion. I sincerely doubt the crew of the Covenant is going to find that to be true. If there isn’t a part of this film where David pretends to be Walter or vice versa, I will eat my hat. Alien: Covenant comes out May 19.